Excited? You can reserve your seat early. Registration includes catered breakfast and lunch. Click the button below or call 970-247-1302. 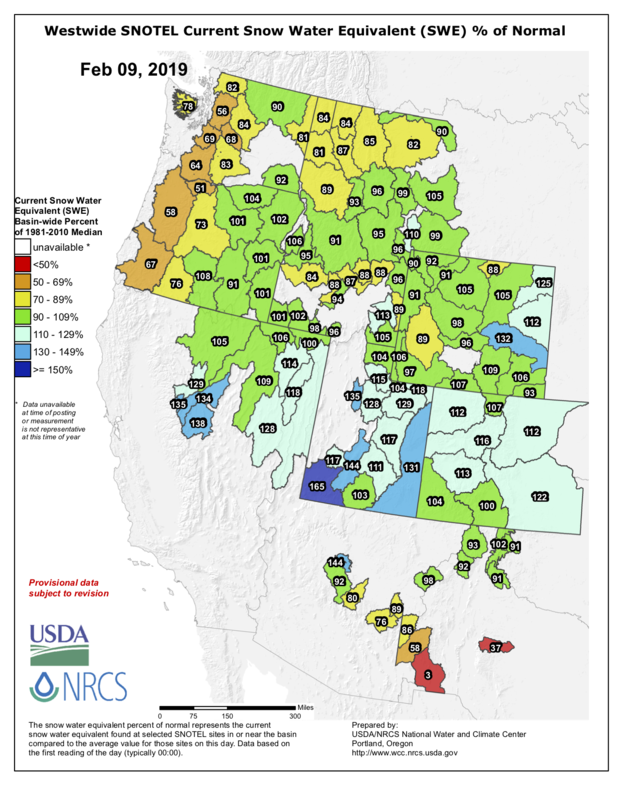 Statewide snowpack basin-filled map February 11, 2019 via the NRCS. Statewide Basin High/Low graph February 11, 2019 via the NRCS. Arkansas River Basin High/Low graph February 11, 2019 via the NRCS. 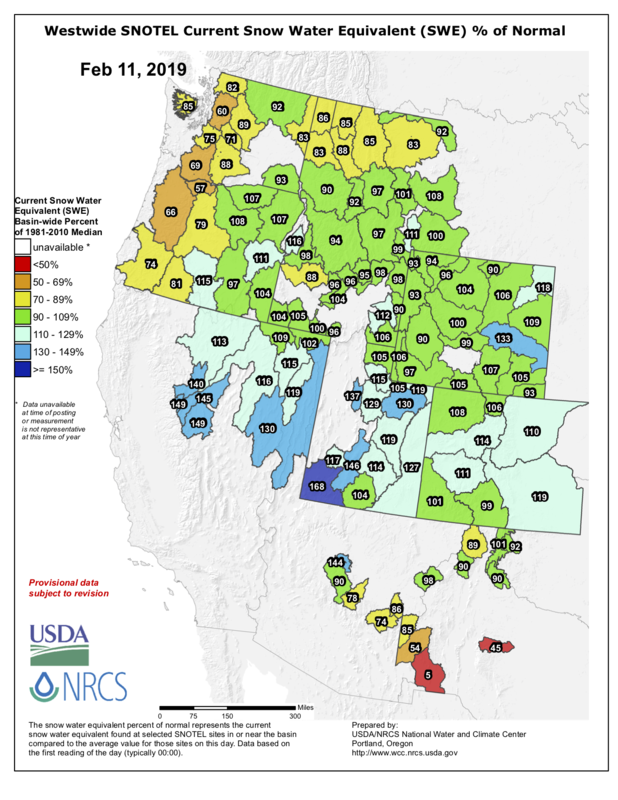 Upper Colorado River Basin High/Low graph February 11, 2019 via the NRCS. Gunnison River Basin High/Low graph February 11, 2019 via the NRCS. Laramie and North Platte Basin High/Low graph February 11, 2019 via the NRCS. Upper Rio Grande River Basin High/Low graph February 11, 2019 via the NRCS. South Platte River Basin High/Low graph February 11, 2019 via the NRCS. 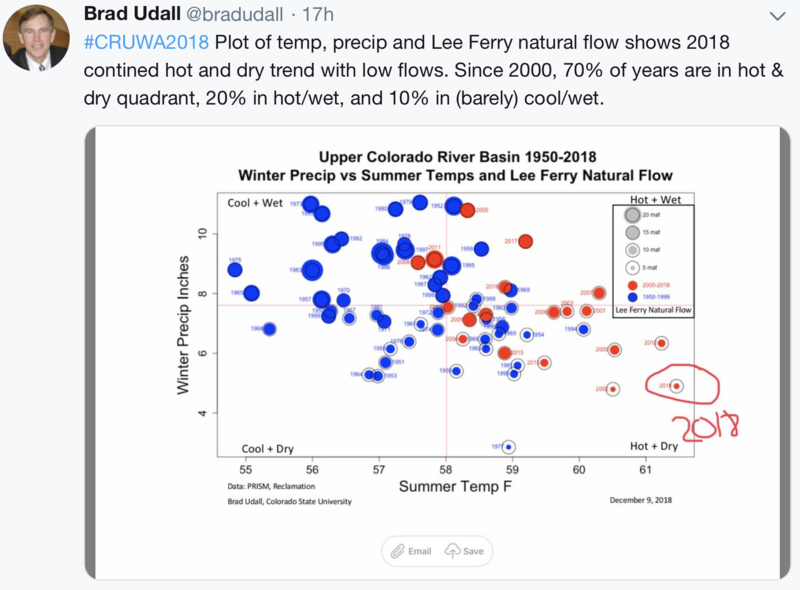 Yampa and White Basin High/Low graph February 11, 2019 via the NRCS. San Miguel, Dolores, Animas, and San Juan Basin High/Low graph February 11, 2019 via the NRCS. Precipitation in the Yampa and White River basins was surveyed at 106 percent of average as of Sunday, Feb. 10, according to data reported by U.S. Department of Agriculture Natural Resources Conservation Service’s Colorado Snow Survey Program. Statewide, mountain snowpack improved from 94 percent of normal Jan. 1 to 105 percent of normal Feb. 1. The result was attributed to “a consistent pattern of weather systems throughout much of January (that) brought snow to the state, particularly, storms during the 15th through 24th of January,” said Brian Domonkos, snow survey supervisor. The southern mountains have fared even better. Precipitation in Northwest Colorado has been high for three of the past four months. December was not as strong, with precipitation falling to just above 60 percent of average before rising in January. 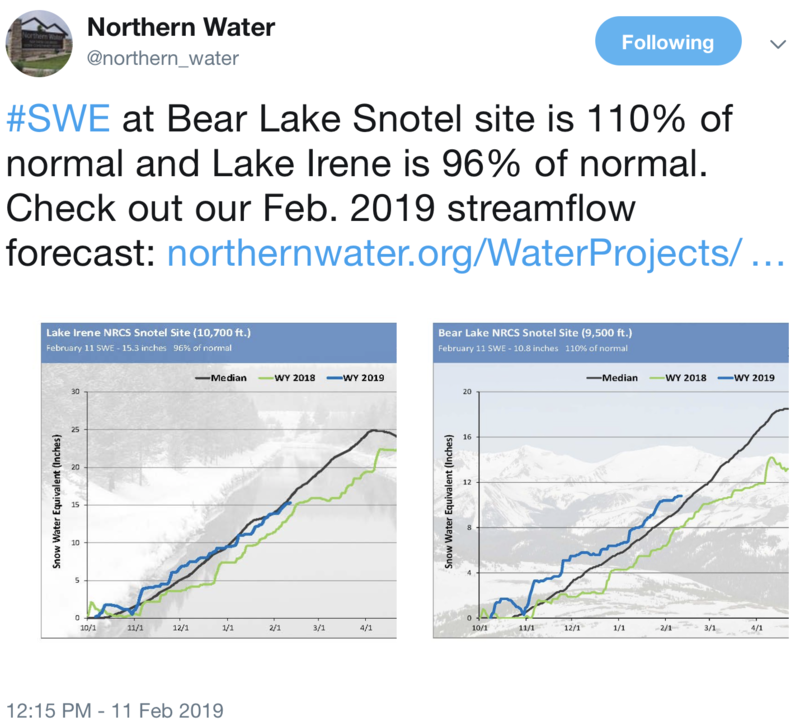 Streamflow forecasts Feb. 1 point to a much more positive runoff season than last year’s forecasts, however, with nearly one-third of the usual snow accumulation yet to fall, conditions may change. Westwide SNOTEL basin-filled map February 11, 2019 via the NRCS. 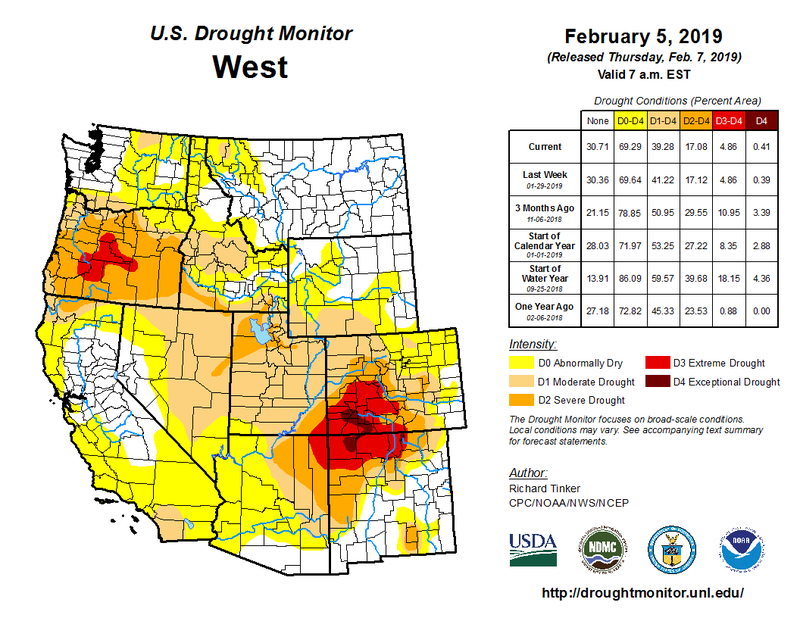 While western Colorado has largely seen improvements in drought conditions since December, the northeast plains are showing an increase in abnormally dry conditions, and even development of moderate drought in Weld County over the past week. In northwest Colorado, an area of severe drought impacting northern Routt County improved to moderate conditions over the past week. Central Archuleta County saw in increase in exceptional drought – the worst category – with the remainder of the county in extreme drought after recent improvements. Abnormally dry conditions expanded in northeast Colorado to cover Logan, Phillips, Sedgwick, Washington and most of Yuma counties, along with the remainder of northeast Lincoln and portions of northwest Kit Carson counties. The abnormally dry area also expanded into southwest Cheyenne County. The area has received ten to 30 percent of normal precipitation since the end of 2018. Moderate drought appeared in central Weld County over the past week, while severe drought expanded slightly in southeast Elbert County. 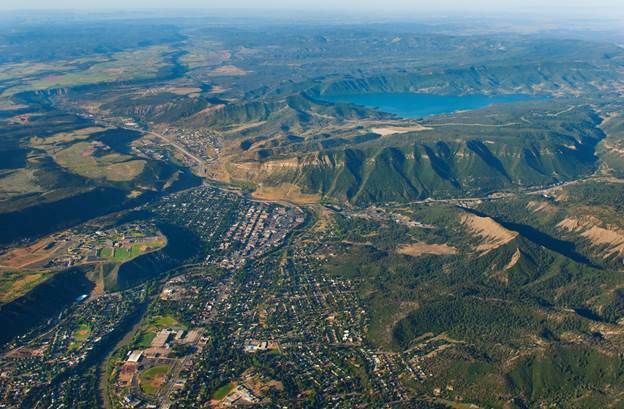 Overall, the drought-free area of Colorado dropped from 16 percent to eight, while abnormally dry conditions expanded to 25 percent, up from 18 percent, over the past week. Moderate drought increased by one point to 26 percent of the state. Severe and extreme conditions were steady at 19 percent each. Exceptional drought was also unchanged at three percent. River basins across the state have all reached 100 percent or more of the median snow water equivalent – a measure of the water content of snowpack. Statewide, SWE stood at 109 percent, up from 104 percent February 1. The San Miguel, Dolores, Animas and San Juan basin reached 102 percent of median, up from 89 percent, while the Upper Rio Grande basin moved from 88 to 100 percent. Both basins had been below the median for the year prior to the February 10 report. Remaining basins in western Colorado showed slight improvements for the week and remain well above 100 percent. In eastern Colorado, the South Platte and Arkansas basins slipped slightly but remain strong at 112 and 122 percent, respectively. Westwide SNOTEL basin-filled map February 9, 2019 via the NRCS. Amid the worst drought in the recorded history of the Colorado River Basin, the federal government is giving Colorado and six other states just one more month to finalize drought contingency plans to rein in water use. If all seven basin states do not comply by March 4, the feds will intervene and create its own scheme to adjust water usage across the West. Jan. 31 was the original deadline for the Upper and Lower Basin states to submit their completed drought contingency plans before the Department of the Interior uses its authority to draw up plans at the federal level. The Upper Basin states of Colorado, Wyoming, Utah and New Mexico have already submitted their plans, as well as the country of Mexico. The Lower Basin states — Arizona, California and Nevada — have yet to finalize their plans. Coming up with drought contingency plans is time consuming and requires a lot of negotiating among thousands of water rights holders. A particular hangup exists with Arizona, which is the only state that needs state legislature approval before the plans can be officially submitted. Arizona has been struggling to get the many ranchers, farmers, American Indian tribes and other stakeholders who rely on water in one of the driest parts of the country to agree to cutbacks in the case of a water emergency. After a lot of log rolling, and just six hours before the Jan. 31 deadline, Arizona’s Gov. Doug Ducey signed a drought contingency plan that the state believed to be sufficient. However, the Bureau of Reclamation was not satisfied. The next day, the bureau proclaimed that Arizona, California and Nevada had not submitted complete plans, as agreements had not been reached with all the key water rights holders. In other words, the feds were not convinced that the drought contingency plans were sufficient to ensure water levels staying above critical. The bureau gave the states until March 4 to finalize their plans. If they’re not finalized by then, the feds would request comment from the governor of each state on how they wish to manage their water, with a public comment period. The feds saw Arizona’s late effort to pass a plan as promising, and is still optimistic that the plans can be finalized by the deadline, avoiding federal intervention. However, the situation is grave enough that March 4 may very well be the last day the basin states can control their own destiny when it comes to water management. On the surface, things have seemed to be looking up in recent weeks for the future of Lake Mead. The Western storms of the last month have fostered the impression of a respite, at least temporarily, from the region’s long drought. Earlier this month, Arizona legislators passed a sheaf of crucial measures signaling their willingness to cooperate in an interstate drought contingency plan, staving off federal intervention. Yet these are stopgaps. The giant reservoir on the Colorado River behind Hoover Dam, which provides water chiefly to residents in California and farmers there and in Arizona, is suffering from a long-term and possibly irreversible decline in capacity. 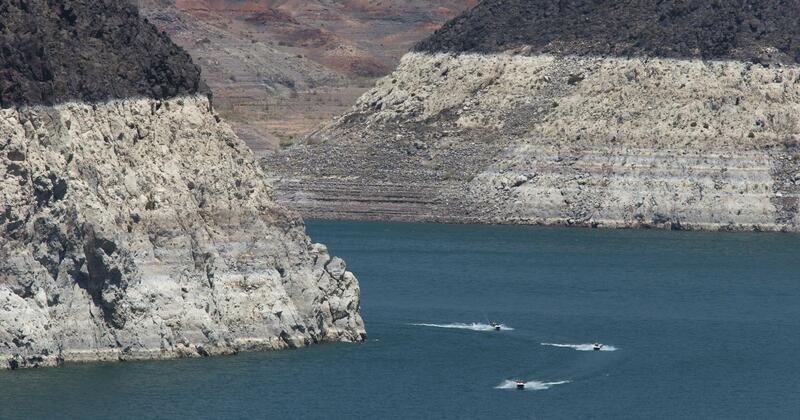 Lake Mead’s enemies are both natural and man-made. Climate change has placed the Colorado River basin in a long-term drought. Meanwhile, human demands for water from the Colorado have far outstripped what it can provide. “We’re in the 19th year of a drought,” observes Robert Glennon, an expert on water policy at the University of Arizona, “and it’s pretty obvious that climate change is having a devastating impact.” That places a premium on interstate cooperation to address the drought’s consequences — chiefly how to apportion what is certain to be a diminishing supply of Colorado water.